The Vegan Magpie: Vegan Town weekend postage offer! Hello! Super yummy provider of sweet treats Vegan Town have a great postage offer for this weekend only! For the weekend of the 27th April, postage is just £1! Yay! 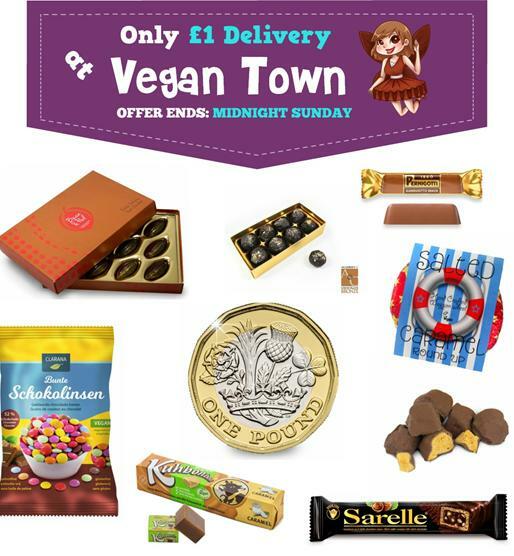 Vegan Town have a great range of treats, including the new vegan smarties style chocolate, caramel Bean and Pod chocolates and Dandies marshmallows. This lovely offer allows you to try out a great variety of vegan treats without the postage making the costs rocket. Win win!